Before Calvin made his grand entrance, I asked some friends to tell me their Top 5 ideas for newborn baby gifts. This post is from the lovely and talented Kayla Aimee. Enjoy! 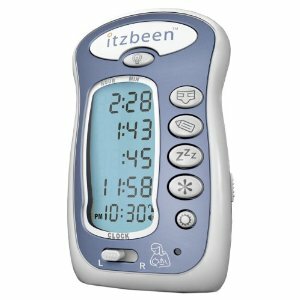 1) The Itzbeen Baby Care Timer – The Itzbeen has nifty little features that let you track when you last fed the baby, changed a diaper or dispensed some medicine and THEN it beeps at you when it’s time to do one of those things again so that you don’t forget. The Itzbeen also lets you keep track of which side you last breastfed on. You’re probably thinking to yourself “Self, I don’t need a cute little gadget. I’ll just do that trick where you keep a hairband on the wrist of whatever side you last fed on.” Which is a great idea IN THEORY. Until you are looking at your wrists at 2am wondering “Where in the world is Carmen San Diego? And also what happened to that hairband to tell me which side I last fed on?” and then you realize that at some point in your zombie-like state you put your hair up in a ponytail and…oh crumb. You probably don’t think you’ll forget to feed your baby either. Sleep deprivation. It’s a powerful thing. Buy an Itzbeen. 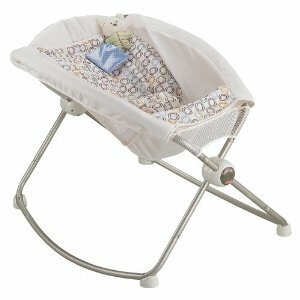 2) The Fisher Price Rock N Play Sleeper – The perfect incline sleeper, it’s a must have for moms everywhere who found that the only way that their baby would sleep was strapped into a bouncy seat. It’s highly recommended for babies with reflux. Plus, I love that my daughter is within arms reach of the bed. 3) Boon Inc. Grass Countertop Drying Rack – My husband trendspotted this one and I thought seriously about taking it off of our registry because really? 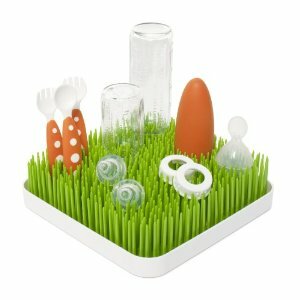 A drying rack that looks like grass? Couldn’t we just lay everything out to drip dry on a towel? And the answer is no because this is the absolute BEST for quick drying bottles and pump parts. 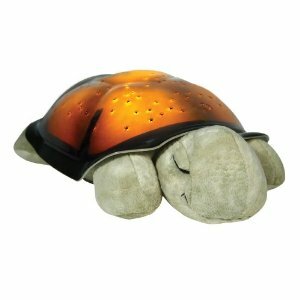 4) The Twilight Turtle – This little nightlight is basically the infant version of sticking glow-in-the-dark stars to your ceiling. Turning it on would calm my fussy baby instantly. I would like to hug the maker of this newfangled Glow Worm because that person? That person made my baby stop crying. 5) Grace – Okay, so technically that deviates from the list of “things you can put on a baby registry.” But as new mom, having grace for yourself is soimportant. Always remember that you are the perfect mom for your baby. From Kayla: Because I own (and love) these products and feel confident in recommending them, I used some affiliate links in this post. That means that if you happen to purchase one or two, I will make a few cents which I will then save in a jar to go towards buying more stuff for my baby. And by “stuff” I definitely mean diapers. 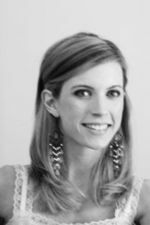 Kayla is a twenty-something not-so-newlywed and southern girl through and through, Kayla Aimee likes scrapbooking, Macy’s at Christmas time, and really good fitting jeans. By day she is a stay at home mom but by night she is a blogger, deal finder and kick arse ping pong player. You can keep up with her (only) slightly neurotic life here. Love the grass drying rack. It’s so cute!